In Amman’s fluxional state since the 1920s its East–West divide has remained constant. 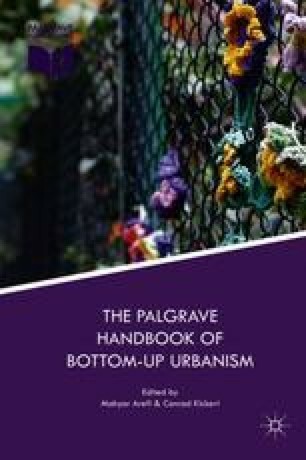 This chapter analyzes the socio-economic and demographic origins and current status of this divide and reveals that twentieth-century planning has effectively bridged its disparities. In contrast, a favouring of the market in recent initiatives has instigated a regression in formal planning, leading to an unplanned Amman. The chapter delineates civil society’s informal yet influential rise in Amman’s urban governance networks which, especially after the Arab Spring uprisings, have transformed a coerced apathy into forms of non-traditional agency, including: revolt, subversion, and innovative negotiation. Al-Sijill. (2009, May 28). They fled to Amman in the twenties, Al-Tafayleh founded their neighbourhood in the fifties. Al-Sijill. Retrieved from http://www.al-sijill.com/sijill_items/sitem7524.htm. Assabeel. (2017, February 3). Who is Issam Al-Zaben the founder of the “boycott” page… and what is his charge? Khirfan-PlanningandunplanningAmman-2017-08-11.docx. Accessed February 3, 2017. BBC. (2016, April 27). Mashrou’ Leila: Jordan bans Lebanese rock band with gay singer. http://www.bbc.com/news/world-middle-east-36148343. Accessed February 28, 2017. Department of Statistics. (2015). Population and housing census 2015. Retrieved from http://www.dos.gov.jo/dos_home_e/main/population/census2015/index.htm. European Investment Bank. (2003). Jordan: EIB EUR 26 million loan for the Amman ring road. http://www.eib.org/infocentre/press/releases/all/2003/2003-145-eur-26-mio-loan-for-the-amman-ring-road-in-jordan.htm. Accessed February 15, 2017. MAWARED. (2010). Abdali project—Overview. http://www.mawared.jo/abdali.shtm. Accessed January 25, 2017. Rogin, J. (2015, October 6). U.S. and Jordan in a dispute over Syrian refugees. Bloomberg. Retrieved from https://www.bloomberg.com/view/articles/2015-10-06/u-s-and-jordan-in-a-dispute-over-syrian-refugees. Ruwwad Al-Tanmeya. (2015). Ruwwad—Our story. http://ruwwad.net. Accessed February 28, 2017. Sawaleif. (2017, February 3). How was the boycott campaign founder apprehended? Details. Khirfan-PlanningandunplanningAmman-2017-08-11.docx. Accessed February 2, 2017. The Aga Khan Development Network. (1992). The Aga Khan award for architecture: East Wahdat upgrading programme. http://www.akdn.org/architecture/project/east-wahdat-upgrading-programme. Accessed January 16, 2017.